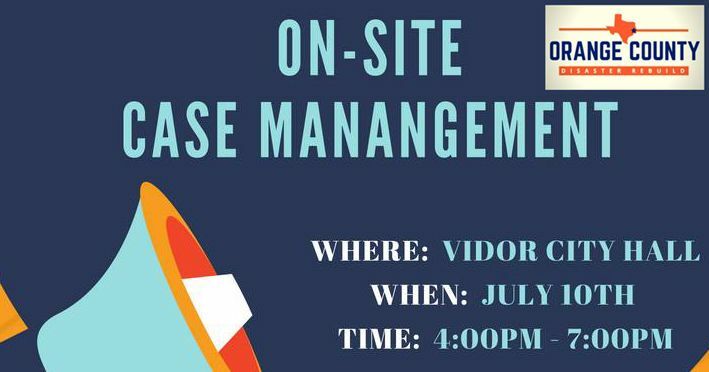 CASE MANAGERS WILL BE AVAILABLE ON SITE: Register with a trained disaster case manager JULY 10TH at the Vidor City Hall located at 1395 N Main St. If your household was impacted by Harvey, come get registered in person! We will work with the case management team to help impacted households find resources for unmet needs.